AC Milan have been tipped to make seven new signings this summer at a cost of around €160m as they look to transform the current team. 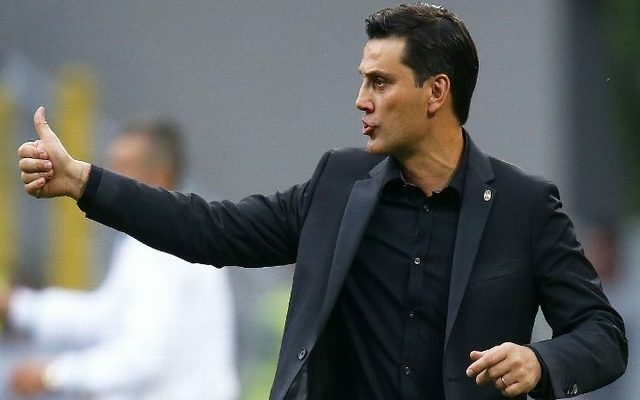 Vincenzo Montella and his side are currently in a real battle to qualify for the Europa League for next season, but the starting line-up is expected to look a lot different after this summer. Following Yonghong Li’s takeover last month, the Rossoneri are set to bolster their squad significantly and according to Calciomercato it will involve a €160m spending spree to give the line-up a facelift. €120m of that will come from the new ownership, while the sales of Carlos Bacca, Mattia De Sciglio and M’Baye Niang are set to add another €40m+ to the coffers. Ricardo Rodriguez and Mateo Musacchio are said to be closing in on moves to the San Siro, with the former set to cost €18m plus bonuses with a transfer likely to be wrapped up next week. Manchester United full-back Matteo Darmian will fill the right-back spot, while Luiz Gustavo and Franck Kessie are touted as being the top targets for the midfield with moves for Mateo Kovacic and Lorenzo Pellegrini being more complicated. Moving further up the field, Keita Balde and Alvaro Morata are seen as the ideal reinforcements up front with the pair costing €20m and €60m respectively. Fiorentina forward Nikola Kalinic is seen as a cheaper alternative and so time will tell how ambitious Milan can be or if they will have to settle for their second-choices. Meanwhile, Calciomercato also note that Manuel Locatelli could be sent out on loan next season in order to avoid a scenario where his development stagnates with Milan. With new arrivals expected and the youngster suffering from a dip in form after his initial breakthrough, it may well be the most sensible decision rather than forcing him to sit on the bench, while reassuringly it’s added that there is no intention to sell him. However, given what he can offer the team, especially compared to the current options at Montella’s disposal, it has been a real source of frustration not to see him play more and prove that he deserves a permanent spot in the starting line-up moving forward. Possible Milan XI next season: Donnarumma; Darmian (or Abate), Musacchio, Romagnoli, Rodriguez; Kessie, Luiz Gustavo, Bonaventura; Suso, Morata and Keita.